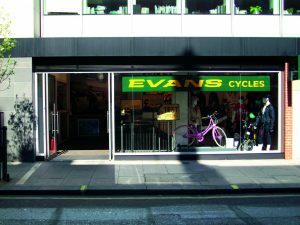 Evans Cycles is to be sold by its private equity owner ECI Partners. The cycle chain has been making a loss over the past two years, although ECI has perused a strategy of expansion. At the time of writing bids have been invited for the firm, with Halfords being reported by Sky News as being among the front runners. Halfords itself set up the Cycle Republic chain as a rival to Evans Cycles in 2014. Halfords has previously stated an aim for Cycle Republic is to double the number of branches. High-end bikes from Go Outdoors??? The most expensive bike listed on their website is £529 for an alloy bike with Shimano Tiagra gearset from a no-name brand.